Gotham season 2 episode 3 (supposedly) brought to a close Jerome’s story arc, whilst also introducing Gotham’s new hero, and no it’s not Bats. 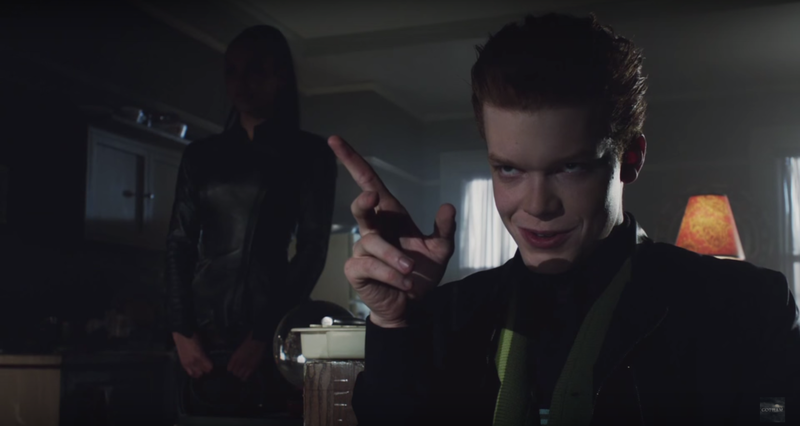 It was another ridiculously brutal and violent episode, so let’s discuss Gotham season 2 episode 3! Oh Jerome, you were a colourful character who will be missed. So this episode we find out part of Theo’s motivations. He claims his family helped build Gotham, yet they have no recognition for it, and now he wants the recognition. His plan? Create chaos and be the hero who brings order of course. So he sets part of The Maniax to infiltrate the charity gala to cause a little chaos, and set himself up to be Gotham’s newest hero. And in a city as messed up as Gotham, it needs all the heroes it can get. Like most bad guys, Theo wants to rule Gotham, so he’s gonna have a little bit of competition. And with Theo’s plan came the “death” of Jerome. The way Gotham season 2 episode 3 set it up as, Jerome is not the Joker, merely the inspiration for the Joker. I don’t know if I completely buy this just yet, because it means that the real Joker is just a Jerome copy-cat. Really Jerome might as well have been the Joker. He had the same absurdist philosophy as the character, he talked like the Joker, had the same morbid sense of humour as the Joker, oh and liked to play around with gas. But now it appears Jerome will not be the Joker, he will just be the precursor for the real Joker. But is Jerome really dead? I feel like this may not be the last we see of Jerome. It might just be wishful thinking, but he could somehow come back from the dead. He might not even be completely dead. A dead guy who can keep a smile like that is pretty impressive. And now that Scott Snyder’s Batman run introduced a somewhat immortal Joker, it wouldn’t be too far-fetched to have Jerome return somehow. Although now it looks like Gotham is full of Jerome/Joker copycats. I knew Gotham attracted the crazies, but wow there really are a lot of people living in Gotham who don’t mind just going around stabbing people just for the laughs. I don’t think we’ll see anymore movement from this Joker arc for a little while, with Theo and Penguin taking centre stage in the next few episodes. The other parts of the episode saw Alfred flirting with Leslie, which is something that is quite common in the comics. In the comics Alfred and Leslie were romantically involved, but it looks like for now Leslie is quite happy with Jim, even with his crazy ex-girlfriend. Then you have the story with Penguin. Penguin truly believes he is king of Gotham right now, so I’m sure he won’t be very impressed when Theo enters the picture. And with the new Commissioner coming in next week, it looks like they will be hunting down Penguin. Gotham City works best when there isn’t just one definitive ruler. The power struggle has always been a big part of the city, and Theo will have a big part to play in creating the power struggle. What’s interesting is that Theo claimed his family helped build Gotham, and Bruno Heller has stated that they will be doing the Court of Owls story arc, so perhaps he is connected to that. Court of Owls was a group introduced in Snyder’s Batman run that looked at how a secret society of the rich and powerful have been controlling Gotham for decades and creating assassins called Talons. It would be interesting if Theo is the link to the Court of Owls, but it may be too early to introduce them just yet. 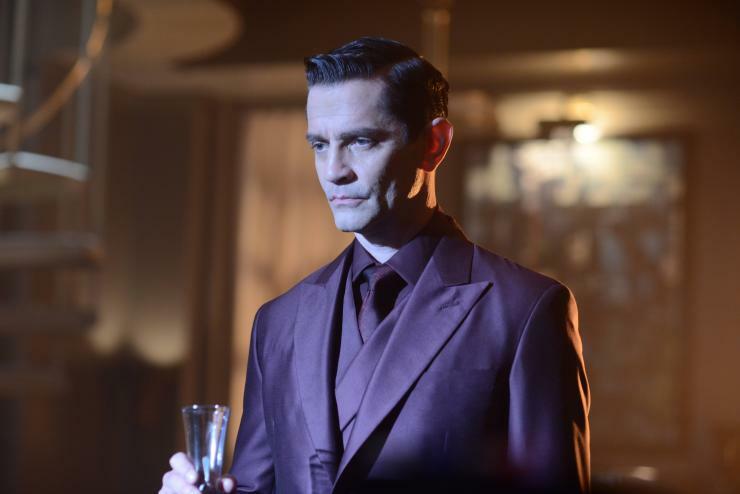 Overall Gotham season 2 episode 3 was another strong episode (not as good as last week’s though), however will the show continue gaining in momentum after the death of Jerome? Theo doesn’t seem as interesting of a character just yet, so hopefully we see a little more development from him. 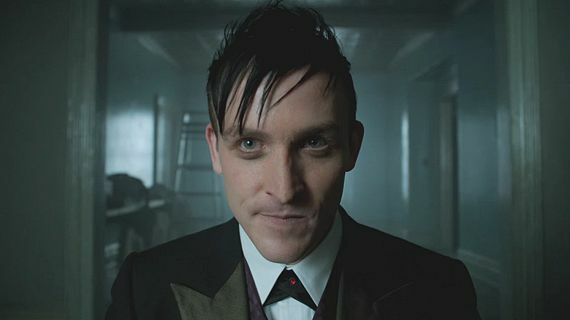 But it will be good to see more Penguin next week! The Flash 2X01 Discussion: Welcome Earth 2; the multiverse begins! Honestly, it would’ve been more simpler to make Jerome The Joker. As much I didn’t like how Batman 1989 did The Joker, giving him a name and identity, at least it established that he was crazy to begin with and the movie itself paid homage to The Killing Joke by having him be the patsy for a crime, fall into chemicals, and then become even crazier. It didn’t ruin the craziness, just gave some unnecessary backstory. Would’ve been cooler if the show just, but instead they decide to “keep you guessing” by showing a bunch of cackling idiots just watching TV and committing atrocious acts. But we’ll see how it goes from here. I’m not seeing this as a Joker origin story. Who eventually becomes the Joker can still remain a mystery even if Jerome is an inspiration for him. I am fully aware of many people admiring this Jerome Joker but to me, he is just a kid trying to hard to show that he has something evil inside him. I mean, look at his eyes, its just an angry kid, that’s all it showed. Pure evil doesn’t need to be showed. This guy just not experienced enough, had enough understanding about the most iconic character in DC. And Joker does not need an inspiration from anyone, he already had the only inspiration he need: Batman. I just hate this serie have to bring Joker as a bait for viewers, Harvey has already crossed the line but Joker? cmon!